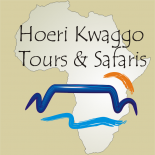 Hoeri Kwaggo Tours has the pleasure to host the yearly study abroad program for the students from the Johnson & Wales University (JWU) from the USA. We are responsible for all the arrangements: accommodation, excursions, meals, transport, educational talks and visits. A very important part of this visit is to organise an interaction between the students and a group of learners from a local school. 60 learners from Mimosa Primary School spend 4 days with JWU at the Rocklands Centre in Simon’s Town. After the camp the students visit Mimosa Primary School, located in Bonteheuwel. Last year they were saddened by the fact that the school does not have playground equipment. The group decided to make a plan. 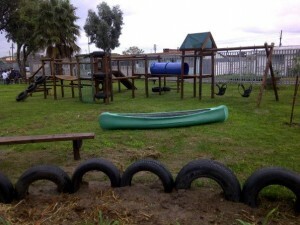 Jessika Fernandez, one of the students in the 2011 group, and her family from Houston, donated the funds and with the help and coordination between Kathy Drohan, Frans Venter and Kennith Reid, the playground was completed. It is named the Daniela Fernandez Playground in memory of Jessika’s sister. The playground was opened on 25 June 2012 by the Johnson & Wales University student group of 2012. This entry was posted on September 26, 2012 by liana in Misc..